Shovel as snow falls, clearing your driveway and walkways after every few inches of snowfall. Alternatively, you can wait until snow stops falling and shovel it in layers. Only shovel as much snow as you are able to lift comfortably. Trying to lift too much can result in back injuries. Avoid walking on snow before shoveling it, since this can cause the snow to pack and become more difficult to shovel. Push snow from the center of the driveway to its outer edges, then use a scoop shovel to lift the bulk of the snow out of the driveway. Do not wait until snow stops falling, since with less snow, a snow blower will not need to work as hard, and it will be able to throw snow farther. Throw the snow as far as possible, rather than throwing it partially off the driveway, requiring it to be cleared a second time. Watch out for obstructions, such as newspapers that may be buried in the snow. Clear snow slowly to avoid clogs that may wear out the parts of the machine. Start the snow blower with fresh gasoline and add stabilizer to the fuel. If you run out of gas before you are finished, allow the snow blower to cool off before refueling. Use synthetic oil, since traditional oil thickens in the cold, making a snow blower more difficult to start. 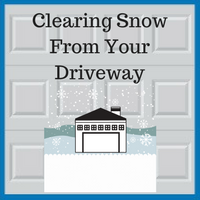 Snow can definitely wreak havoc on our everyday lives, and it is important to tend to issues with our garages and driveways as a result of snow and ice. If you have questions regarding how winter weather may negatively affect your garage and driveway, you can count on Blue Sky Builders to further assist you. 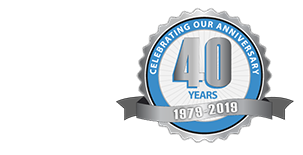 Our experienced garage professionals have over 38 years of experience creating custom garage solutions, and we are incredibly proud of the work that we do. If you have any questions about renovating or repairing your garage in the New Year, please contact us today at 630-852-8485. To view some of our work, please visit our gallery.